In a previous post, I mentioned we were debating between getting a pergola or canopy for our outdoor deck. 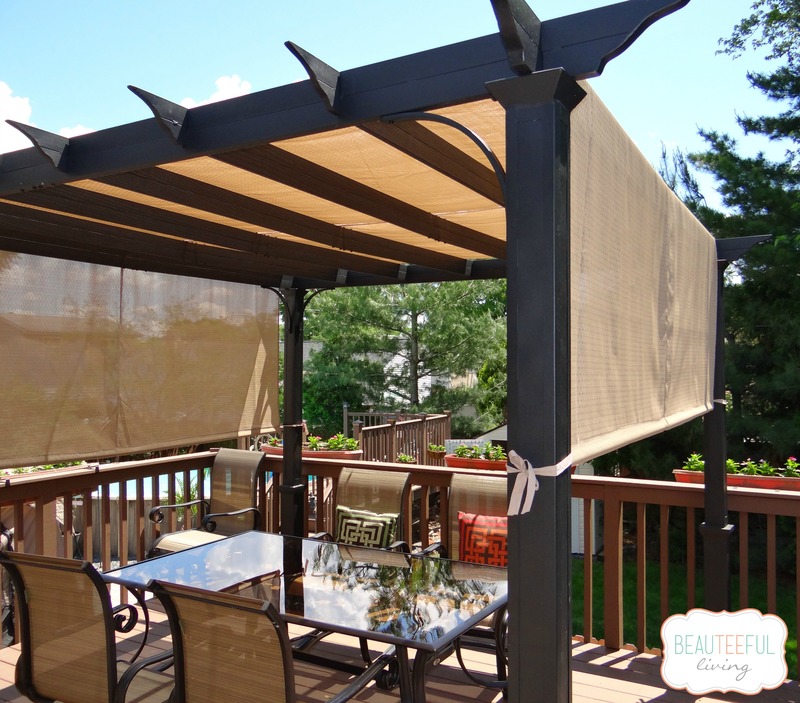 Ultimately, we opted for the pergola and I think it suits our shading needs and matches our outdoor decor quite well. 1) Stepping out of the sliding doors off our dining room, you will see this view. 2) Here’s an alternate view from the other side. It’s been a month since we purchased this Garden Treasures pergola from Lowes. We’ve had some intense winds and downpours during this time and it appears the structure is pretty sound. Having the legs bolted onto our deck was definitely a requirement. In the past few weeks, we’ve been taking advantage of the warmer weather and dining outdoors. 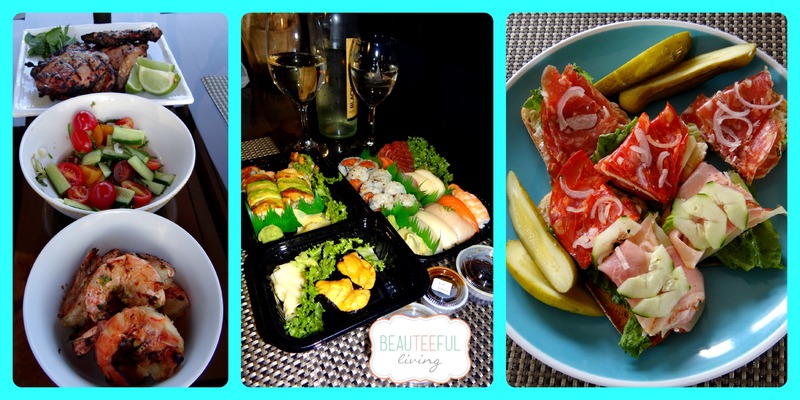 Whether it is doing some BBQ, taking out sushi, or munching on an open-faced sandwich, meals are so much more enjoyable when consumed outdoors! Like this post? Have a comment? I’d love to hear your thoughts. As always, thanks for reading. We’ve had our pergola since last summer and it has held up nicely. We stored the shade away at the end of summer last year to prevent it from getting damaged over the winter months. 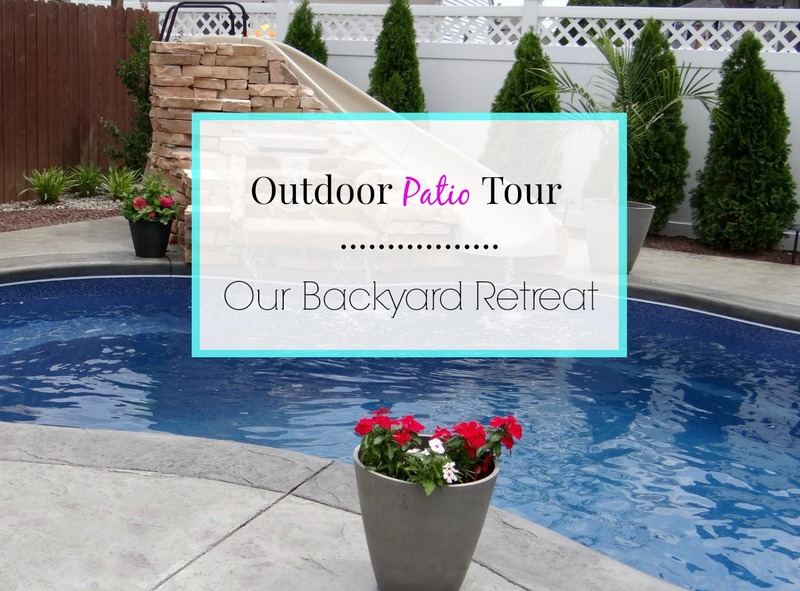 Want to see more of my outdoor patio? Visit link HERE. Garden Treasures pagoda is no longer available. Hi Jody, they may restock the item. There may be certain locations that still have stock. 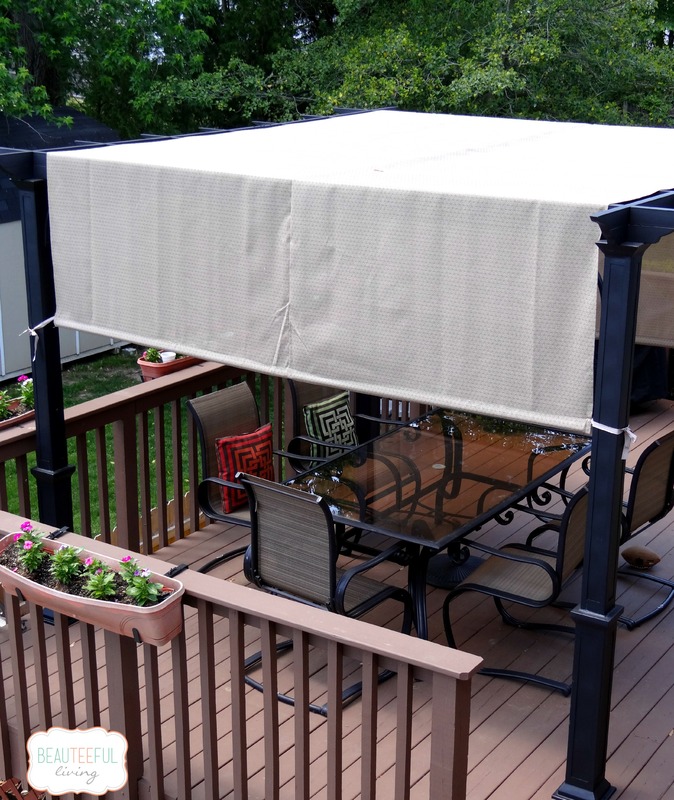 Everyone seems to be shopping for outdoor shade cover. It’s about to get really hot :). I have one something like this that I got at Menards. My canopy I weave between the bars. Guess to keep it from blowing or flying off. Mine also sits on a cement slab and is not bolted to it. I take the cover off when we are going to have storms cause it said to in 50-70mph winds. I do worry about it blowing over if we did get wind gusts cause it would go through my patio door. I live in Iowa and don’t leave cover on it in the winter time. This will be my second summer with it. 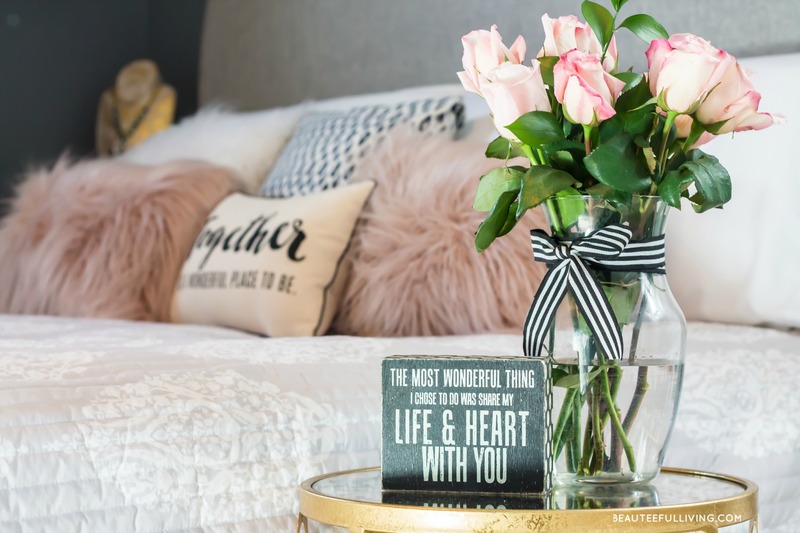 Where did you purchase the fabric from? 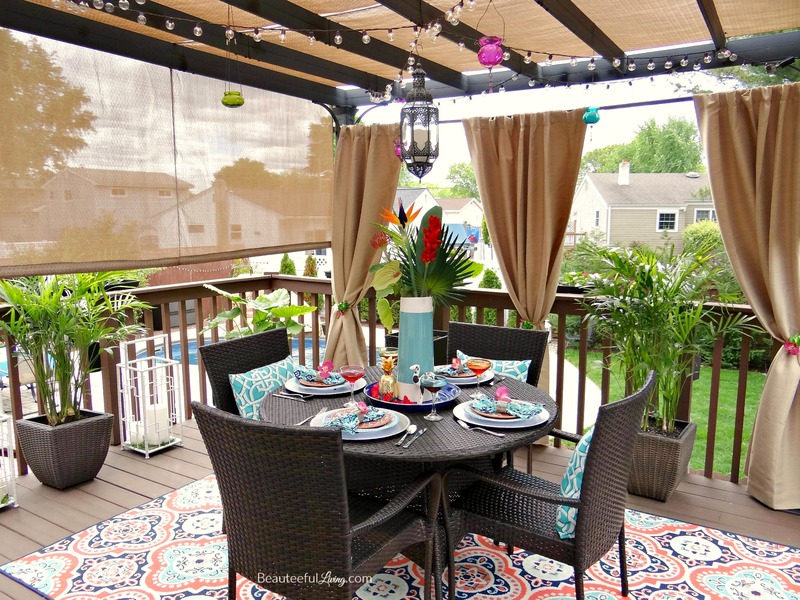 Hi Brenda, the fabric came with the pergola as a set from Lowe’s. If you do a search on Amazon..apparently, they have a replacement shade cover similar to the one we have. Since it’s a different brand, I wouldn’t be able to speak to the quality of that sun shade. Hope this helps. Did the covering hold rain water? Hi Lanie, it doesn’t hold rain but we were aware of that. The good thing is that rain doesn’t puddle on top so you wouldn’t have to worry about the shade sagging. Do you know if the canopy protects from UV Rays? If it does, I want one! I have the same one for one year took cover in in wintertime. Didn’t matter it lasted till this morning this month and blew off . The ties stayed on the posts. I was trying to come up with something to fix the problem because the poles that we will in the hem of the cover kept working out or banging on the metal posts. This one has problems for sure and it’s already rusting. Hi Ruby, sorry to hear about the issue you have with your cover. My cover is still doing well but I agree with you on the rusting issue. I’ve been spraying the areas that show rust and it seems to help. For shade though, I must say that this pergola (with shade cover) has been exactly what we needed for our upper deck. It totally makes meals here (especially on sunny, hot days) bearable and enjoyable. Thanks for commenting! Hi. Did you consider a gazebo as well? We’re trying to decide between a gazebo and a pergola..any suggestions?? Hi Michelle, I did consider a gazebo for other parts of our yard but not our deck. Gazebos are pricier and more “formal” looking. If you invest in a gazebo, you’re definitely not bringing it to your next house :). If you want a space that is more “separate”/more “intimate” then a gazebo may be a good bet. Otherwise, the pergola is better for the space to look more open and a little more contemporary (depending on style of pergola you choose.) Hope that helps! Let me know if you have more questions. Thx. Did thE canopy come with the pergola? Or did you buy it separately? I’d love to have one for my pergola. Hi Pamela. Yes, the canopy came with the pergola as a set. I think Lowe’s also sells replacements for it. Check Amazon because they may have canopies for pergola’s. Just be sure to check the measurements to make sure they suit your pergola dimensions. Good luck and thanks for stopping by! Beauteefull! Love it and the food looks yummy. You guys are great at home improvement and cooking. this is so pretty. I would love to have one. We have had three that have been picked up by wind or damaged beyond repair. One came through a window in a thunderstorm. I think we will have to build one and dig the posts down beyond the frost line. For now small umbrella shade will have to do. I love your patio, gorgeous! Thanks, Emily! Wow, can’t believe one of your previous pergolas came through a window. We are bracing ourselves for next winter (we are optimistic though).